"Casa de Apoyo" or "Support House". We've created a "Generosity" crowdfunding site! Share it with your community & friends. 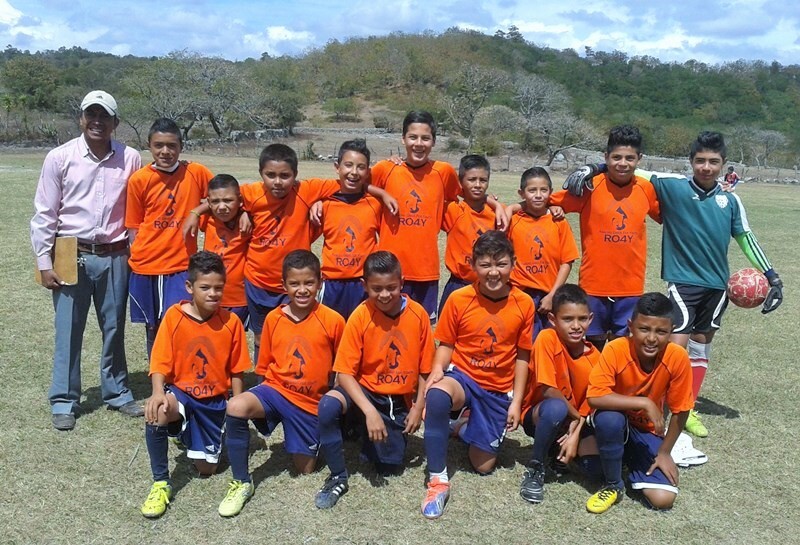 short-term teams and Honduran youth discipleship program! PRAISE that we have a $3,000 commitment from one of our supporting churches to start the fundraising!!! but fell short loosing 2-0. We had quite the crowd for the U-12 boys final! PRAY for Oscar to clearly communicate the Gospel and that the team will grow in athletic skill and spiritual depth. The U-25 men's team gathers after our first victory: 2-1! 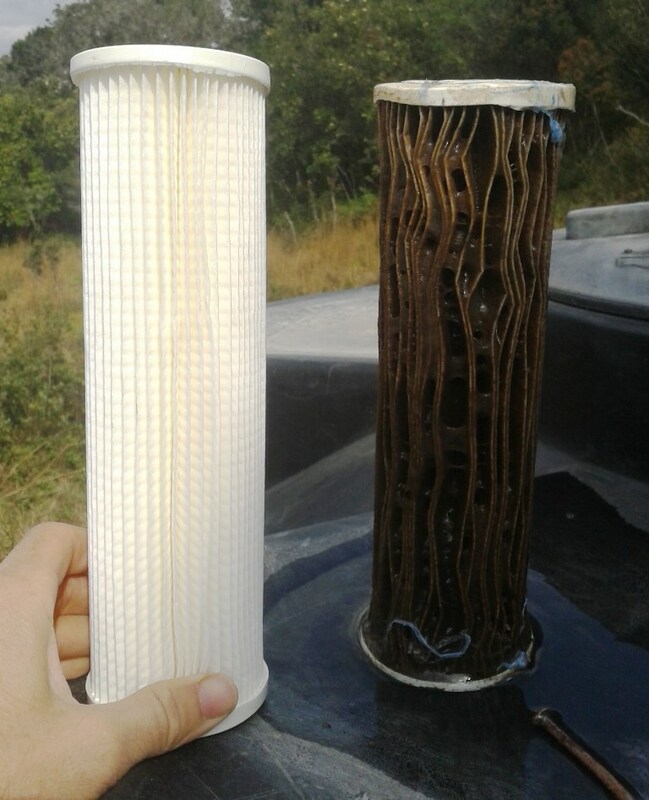 Fidelia separates the varnished paper beads so they don't try together. 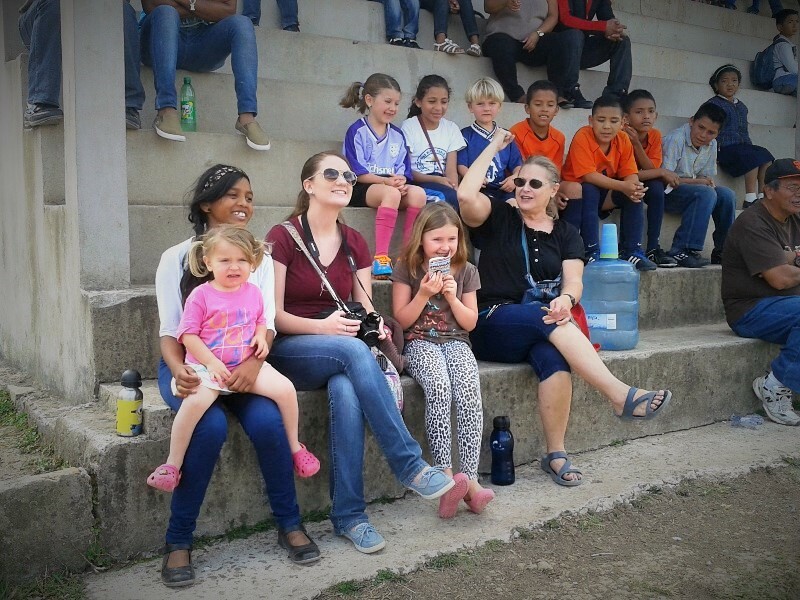 PRAY for Ilsy and Marillyn to lead these woman into a deeper relationship with Jesus and a greater knowledge of their art. The ladies' Etsy store, Las Aguas Verdes, is currently showcasing their Spring line of jewelry! CLICK HERE to view the latest handmade Honduran fashions! FRIDAY GIRLS' BIBLE STUDY...it's back!!! Ilsy & Chelsea lead the girls in a dynamic game of "Red Rover". PRAY for these girls (elementary & junior high) to cultivate a passion for God's word and truth. Jon breaks-out with the junior high girls as we study the Gospel of John. The ladies present their "Frozen" birthday cupcakes at Ilsy's daughter's school! as she finishes her final month with us at Ranch Oasis. PRAY for more "called" staff to serve with us short and long term! Lissye and Jon celebrate their birthdays..."Let it go, baby." PRAY for the Ranch's non-profit to finalize. After 4+ months of "disappearing" from the Ranch one of the youth spotted Esther in a not-so-nearby village. We sought her out and found her sickly, but have been restoring her back to health. A few RO4Y supporting churches rallied (or are about to rally) and took a benevolence offering to raise the funds for purchasing & replacing the Durango's transmission. The hope is to get it replaced in April! PRAY for all the logistics to work out: sending the transmission & the mechanic ! We've been 3 months without our vehicle!!! 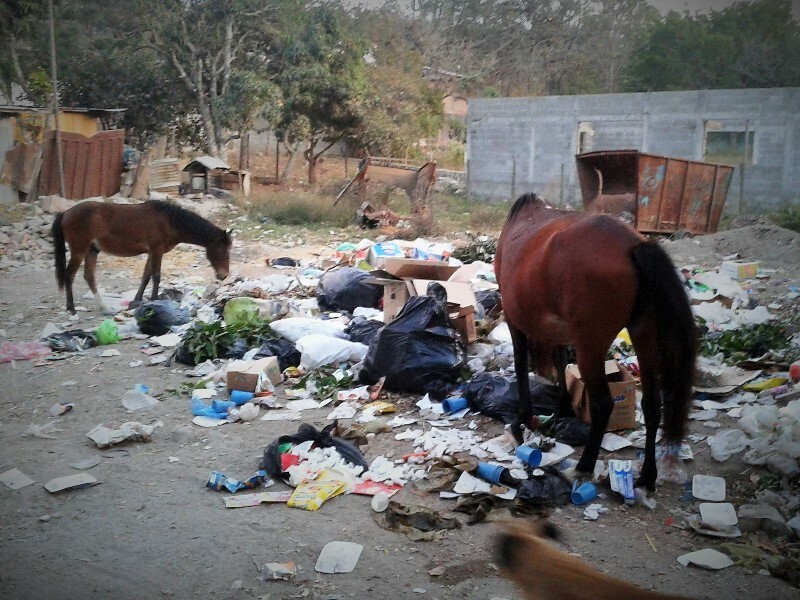 Even the horses rummage through the trash dump in town during the dry season! Poverty exists on so many levels in Honduras. PRAISE for the generosity of our support team and the US government (our tax return). Many of our unexpected expenses were covered. (See last month's post!) God is faithful! Jon's parents, Dave & Marsha Beard, make their annual grandparent rounds! PRAY for the "Elder" Beards to have fruitful/meaningful trip at the Ranch. Where'd you go for Spring Break? PRAISE for the much need rest over Semana Santa ("Holy Week"). 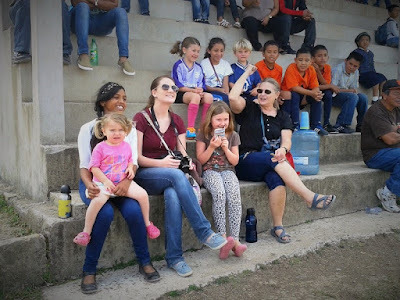 Our Honduran staff have the week off and the Beard family are enjoying some down time and extra fellowship with nearby friends! Continue to PRAY for our individual spiritual growth, marriages, families and strength against the constant spiritual warfare! The trampoline was resurrected after a year in hibernation. PRAISE for our amazing support team. We are blessed & strengthened by your words of encouragement, financial gifts and prayers!! !